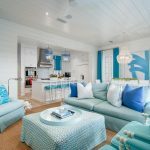 There is a lot to celebrate about The Premier Property Group’s (PPG’s) Thirty-One on 30A’s development. Namely, it’s the first gulf-front condominium project introduced along scenic Highway 30A in more than a decade, making it a rare find. Not only does the $70 million project encompass the most up-to-date, contemporary design elements, but it is state-of-the-art in terms of building codes and technological offerings when compared to neighboring luxury developments. Thirty One on 30As differentiators start with the size of the residences. 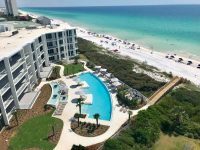 While most Emerald Coast condominiums offer less than 2,000 square feet, residences at Thirty-One start at 2,200 square feet and reach as high as 4,500 square feet, each offering a large gulf-front balcony overlooking 335 feet of beach frontage (the size of a football field). That means that each of the 27 residences is afforded more than 12 feet of beach compared to just over one foot in many neighboring communities. Designed with a distinctive, refined lifestyle in mind, Thirty-One offers owners an unmatched level of privacy and security. Residences are accessed from a secure, underground garage via eight private elevators, each providing entry to four residences—one on each of the development’s four floors. The garage is also equipped with a secure storage area for each residence. 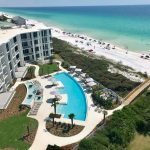 Convenience is central to the vision behind Thirty-One on 30A, where the end-goal for residents is a maintenance-free lifestyle. To that end, the development offers a wide variety of concierge packages and services through Live Well 30A and La Dolce Vita. Owners can leave all the menial tasks associated with managing or visiting a property up to local experts and focus their attention on relaxation and quality time with friends and family. No more standing in line at the grocery store upon arrival or running to the car wash before leaving. Owners and visitors can look to these concierge partners for nearly any task including booking fishing trips, hiring babysitters or building a beach bonfire. The possibilities are endless. Convenience extends well beyond Thirty-One’s concierge partners. For example, beach service is automatically included with all residences to ensure a seamless, hassle-free experience for owners. A fleet of street legal golf carts are also available that residents can use for dinner outings or simply enjoying the eclectic offerings of nearby 30A communities. An onsite catering kitchen, club room, outdoor kitchen and owner’s area with firepit make entertaining easy. The property has spared no expense to ensure the satisfaction of owners and their guests. Of course, the development would not be complete with its 2,500-square-foot resort-style pool, offering an expansive terrace and temperate waters. The development is also home to a fitness center that overlooks the pool and Gulf. Complementing Thirty-One’s unmatched lifestyle amenities is a commitment to high-end service by those who work at the property. For instance, Robbins recalls one instance where an owner realized that her four-carat diamond was missing upon returning home to Mississippi. The diamond was later found at the Waffle House in DeFuniak Springs, an hour north of Thirty-One on 30A. Building Manager Karac LeCercq drove to the restaurant and retrieved the diamond for the owner, leaving it securely in her Thirty-One residence. 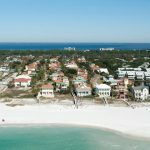 “Thirty-One on 30A is bringing something new and truly special to the market, standing out for its superior offerings from all vantage points,” Robbins said, adding that the price point is attractive when compared to other single-family offerings. Currently, residences are still available and range in price from $2.2 million to $4.0 million. (My favorite YaYa Gritts from Great Southern Cafe in Seaside’s recipe is at the end of the Article!!) Distinctive experiences come in many shapes and sizes along the Emerald Coast. A feast for the senses, our region is home to stunning water views and lush natural surroundings, soft, sugar-white beaches, the smell of warm Gulf breezes and, of course, tastes that will delight even the most discriminating palate. Award-winning restaurants and celebrated chefs are abundant across the communities served by The Premier Property Group. 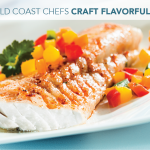 Whether you are seeking a Gulf-to-table experience, Southern cooking, healthy fare or international cuisine, the chefs of the Emerald Coast strive to create dining experiences that will keep you coming back for more. Jim Shirah, executive chef at Dewey Destin’s Seafood, grew up fishing the waters of the Emerald Coast with his family. Local to the Destin area, when the family launched the restaurant 10 years ago, the plan was to serve locally-sourced seafood, which can be a bit of a challenge sometimes. Shirah works in a kitchen that once belonged to his great aunt and uncle, and though the building in Destin Harbor has expanded over time, Shirah’s team serves an extensive menu of fresh fish from a surprisingly small kitchen. With four locations along the Emerald Coast, Dewey Destin’s serves original Destin recipes as well as Gulf Coast recipes pleasing both locals and visitors alike. At George’s at Alys Beach, executive chef Camille Withall oversees a menu of regional coastal dishes flavored with global touches. Originally from the Philippines, Withall enjoys traveling the globe to learn about food, bringing that knowledge back to the customers at George’s. The team at George’s crafts its offerings with locally- and regionally-sourced produce and the freshest seafood available for its lunch and dinner menus. Withall says that her team’s love for food is reflected through their creativity and enjoyment in crafting uncommon dishes. Chris Joyner serves as executive chef at The Saltwater Grill in Panama City Beach, which specializes in steak and seafood dishes on its dinnertime menu. Home to a 25,000-gallon tropical saltwater aquarium, The Saltwater Grill receives whole fresh fish daily, making its menu offerings among the freshest on the Gulf Coast. Joyner points to people’s increasingly busy schedules as the motivation for creating a memorable dining experience. Restaurant IRON, led by executive chef Alex McPhail, serves Southern contemporary cuisine driven by locally-sourced ingredients in handmade recipes. The dishes feature Gulf seafood, grass-fed beef, artisan products, and produce fresh from the on-site garden. McPhail points to local markets like the Palafox Market in downtown Pensacola as a source of seasonal fruits and vegetables for everyone in the area, and a variety of products like locally-produced cornmeal and honey. McPhail finds his inspiration, and the secret to Restaurant IRON’s success, in the teamwork of a talented staff, the beauty of his surroundings, and his freedom to create the freshest offerings from native ingredients. Jim Shirley, chef and owner at Great Southern Cafe in Seaside, is affiliated with numerous well-known restaurants in the area, including The Fish House, The Atlas Oyster House, 45 Central Wine and Sushi, The Meltdown on 30A, The Bay in Santa Rosa Beach, and Baytown Provisions. Great Southern Cafe promotes what it calls “New-Fashioned Southern Cuisine,” a mix of international cuisines with Southern cooking and locally-sourced foods. Shirley, a Pensacola native, has extensive knowledge of the waters along the Emerald Coast, and he couples that with his family’s farming history to promote what he calls “New Ruralism,” a concept that champions sustainable agriculture. Check out Shirley’s recipe for Grits à Ya Ya, or many others at the Great Southern Cafe website. First, make your grits. Run the chicken stock into a thick-bottomed saucepan and turn on high till it boils. Mix in the grits and stir like crazy. Reduce to a simmer and allow to cook for 40 minutes, stirring occasionally. Add cream if you need more liquid. Then tumble in the butter, drizzle in the rest of the cream, and stir ‘til it’s all in the family. Then shake in the shredded cheese and stir very well ‘til it’s all nice and smooth. While your grits cook, bring a large saucepan to medium heat. Add bacon and cook for about 3 minutes, then add garlic and shallots. Sauté and then add butter and a splash of white wine. When the butter is half melted, add the shrimp. When the downsides of the shrimp become white, flip them and add mushrooms, scallions, and spinach. Sauté for 2 minutes. Remove the shrimp. Pour in heavy cream and let simmer while stirring. When reduced by one-third, add salt, pepper, and hot sauce. Return shrimp to the sauce and combine. Spoon the sauce and shrimp onto heaping mounds of cheese grits. Be bold and have fun like they did in this beach home for sale in Rosemary Beach! You can’t find a beachfront lot let alone a beachfront home for under 2.2 million on 30A. It’s even remodeled already! This home is in the quaint Sunrise Beach neighborhood just east of Gulf Place and has it’s own private beach walk over. Lot is 54′ of beachfront and 275′ deep. Click here for all details and photos. The ultimate in luxury and style on 30A. Here’s the newest beachfront condominium on 30A in Seagrove Beach just down from Seaside. The first new Gulf-front condominium project in over a decade on Scenic Highway 30A is one step closer to completion. Developers, future owners and construction workers all gathered on November 3rd to celebrate the topping out of Thirty-One, a significant milestone in the construction of the first, new Gulf-front construction project built on Highway 30A in more than a decade. The luxury three- and four-bedroom residences range in size from 2,562 square feet to 4,539 square feet. 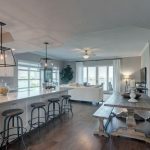 Each residence offers a private elevator, an oversized beachfront terrace, stone countertops, Wolf® and SubZero® appliances, frameless shower doors and large walk-in laundry rooms and closets. The developers believe the high-end interior finishes and the project’s robust amenity package are why pre-sales have been so strong. “With only 9 residences remaining, we feel confident that the remaining inventory will sell out prior to the building’s completion,” said White. The available residences are priced between $2.15 and $4.95 million. Thirty-One on 30A. Slated to be one of the most significant collection of residences on one of the world’s most desirable beaches, Thirty-One is the premier destination for those who seek peerless design, architecture, comfort and the ultimate in beachfront living. 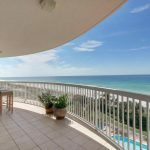 There are hundreds of reasons for wanting a luxury residence along legendary 30A. You can stop counting at Thirty-One. Thirty-One is being developed by Premier Development Group. The principals, Bob Parks, Tommy Brigham, Garrett McNeil, and Keith Flippo, have well over 100 years of combined experience in the real estate development, management and brokerage businesses. They have been responsible for the development and/or redevelopment of over 2,000 condominium residences, 8,000 single-family residential lots, and over 400 resort hotel rooms and three golf courses. Notable projects include: Sterling Sands, Sterling Shores, Kelly Plantation, One Water Place, and Sterling Breeze. In addition to Premier’s extensive real estate development experience, the leadership group at Premier Development currently owns and operates 3 real estate brokerage companies with a footprint stretching across Florida, Alabama and Tennessee. With over 1,000 agents and 20 offices, the combined brokerage companies closed over $2.9 billion in real estate transactions in 2016. This 4,000+ sq. 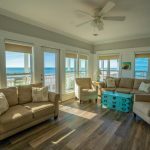 ft, 7 bedroom, beachfront home built in 2012 located in Miramar Beach is listed under 2.5 million and is guaranteeing a gross (minus rental management fee) income of 288,000 for the first year! Please call or email me for a complete financial breakdown of cost of ownership vs rental income on this, or any other beach home.